“When will Android have a dedicated notes app?” I hear that a lot. Maybe I/O 2013? Until that day happens though, check out Notif. It is a notes app made specifically for devices running Jelly Bean, which allows for the expanding of notifications in the top bar. You can make three different types of notification reminder/lists which all look great and work flawlessly. First, you have text notes which can have a title and then the body of the message. 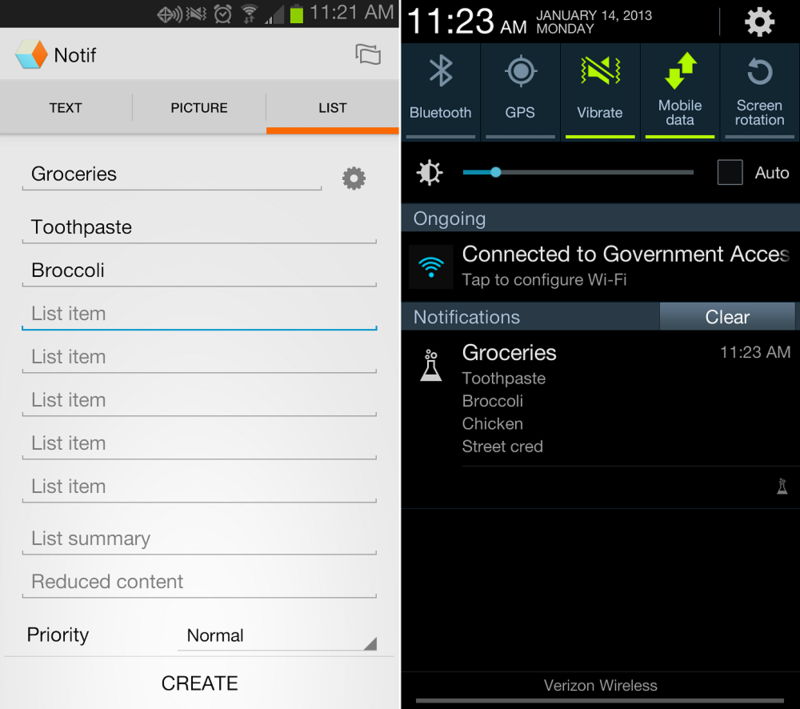 Then you have picture notifications and lists, which I have previewed above with my grocery list. Tell me again what aisle street cred is on? Again, it’s for Jelly Bean devices only, so quick apology to everyone else.